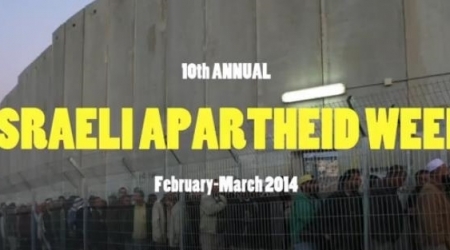 A week of events organized to bring attention to Israel's practices and policies which resemble the South African race-based system known as apartheid were held at hundreds of universities from March 2nd to 7th 2014. Among the universities that held events this year was the Israeli Hebrew University in Jerusalem, where a photo exhibit documented some of the issues faced by Palestinians living under occupation. discriminated against black South Africans until it was abolished in 1994. 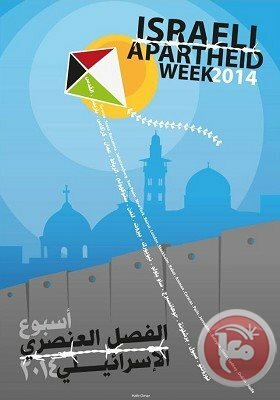 2014 marks the tenth year that students and activists have organized the week of action known as 'Israel Apartheid Week', and one of the biggest participants is South Africa, where the week of events will take place from March 10th to 16th. In cities around the world, multiple events have been organized as part of Israeli Apartheid Week. In Toronto Canada, students organized a number of film screenings and discussions, including a discussion on 'Pinkwashing, Homonationalism and Love under the time of Apartheid'. Universities from Paris, France to Sao Paolo Brazil have put together educational events and symposiums. In Washington, DC, several organizations came together to organize the first First National Summit to Reassess the U.S.- Israel “Special Relationship” on March 7th at the National Press Club, which includes a long list of speakers addressing a number of topics regarding Israeli policies and the U.S. support for what the organizers say is a 'special relationship' with Israel that is harmful to U.S. interests. Even in Israel, where talk about the Israeli occupation of Palestine is strongly discouraged and often criminalized, students at Hebrew University organized a photo exhibit to show some of what Palestinians experience under Israeli military occupation. The exhibit was strongly criticized by student representatives of the Israeli Likud party, who demanded that administrators remove the exhibit from the premises. Palestine solidarity activists launched the 10th annual Israeli Apartheid Week in North America and the UK last week, as their counterparts around the world prepared to mobilize throughout the month of March. Israeli Apartheid Week is a global campaign that seeks to raise awareness about the discrimination faced by Palestinians and to rally support in favor of the Boycott, Divestment, and Sanctions movement against Israel. 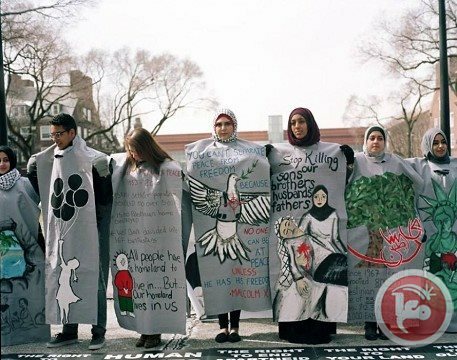 Activists are organizing IAW events in more than 150 cities around the world this year, including 36 locations in North America, according to organizers. Activists credit the week of events -- which takes place at different times in late February and throughout March depending on local schedules -- for encouraging a major shift in discourse on the Palestinian-Israeli conflict in the last decade. Once a major taboo, criticism of Israeli policies against Palestinians has become mainstream, and thousands have become involved in pro-Palestine solidarity groups around the world. Nowhere has this shift been more noticeable than on university campuses in North America and much of Western Europe, where majorities traditionally supported Israeli policies. In the last year, a number of academic associations have come out in favor of the boycott of Israel, including the 5,000-member strong American Studies Association, while student associations in Toronto, Scotland, and California have voted in favor of resolutions to divest from companies linked to the Israeli occupation. Danya Mustafa, an IAW national coordinator in the United States, told Ma'an that much of the work in the United States emerges from coalitions formed by local chapters of Students for Justice in Palestine, a grassroots national organization. "IAW has fostered critical discussion and is getting people talking about Israeli state policies," she said, highlighting that the focus of IAW has shifted over the years from education to campaigns to pressure university administrations to divest from companies that do business with the Israeli occupation. IAW is also creating "more momentum in mobilizing other social justice organizations behind divestment," Mustafa said, as student groups from a wide variety of backgrounds increasingly take part in Palestinian solidarity events and actions. "The conversation on Palestine is now at the forefront of discussions at universities," Mustafa added. Max Geller, an SJP leader at Northeastern University in Boston, argues that widespread participation in IAW "symbolizes changing times on US campuses in particular and the country in general," as criticism of Israel has increasingly become the norm rather than the exception. At the same time, however, Geller pointed out that this success has been met by repressive measures, highlighting a widening gap between how student leaders think about Israel compared to university authorities. 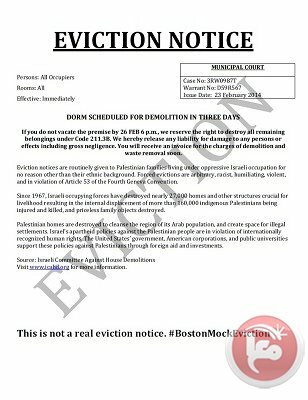 Last week, for example, Geller's group posted mock eviction notices on student dorms to raise awareness about Palestinian home demolitions. 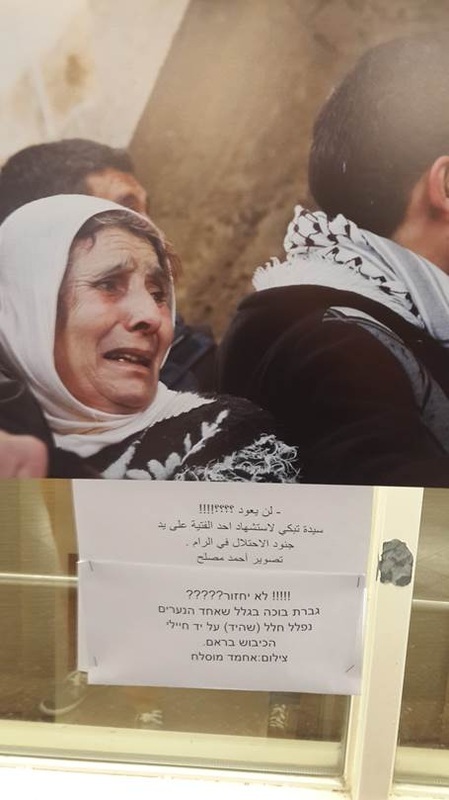 "We wanted to simulate the all-too-common Palestinian experience of waking up one morning to discover that your presence on your land has suddenly become illegal," Geller explained, highlighting that the flyer stated in large letters that the eviction notices were not in fact real. Within a day of the flyers' distribution, however, Geller said that members began receiving "harassing phone calls" from university police, which he claims was spurred on by the campus' local chapter of Hillel, a national Jewish student organization. The Northeastern University police department did not respond to an email seeking comment, but a statement released by the university Hillel said that they had prompted the university administration to work with the police department to begin a "thorough investigation." "This criminalizing of student activism only goes to show the extent to which Zionist campus groups are willing to go to prevent criticism of Israel on campus," Geller said. "While it feels like we in the US are finally catching up to the rest of the world in terms of identifying with the Palestinian cause, the reaction to our mock evictions also indicates how far we have to go and how much we have to overcome," he added. Divestment efforts have taken off at campuses across the United States, as students have launched numerous campaigns to pressure university administrations to ensure that official funds are not linked to Israeli policies against Palestinians. Sarah Rahimi, a member of SJP at the University of California Los Angeles, stressed how their campus' version of Israeli Apartheid Week (entitled "Palestine Awareness Week") had laid the groundwork for a divestment campaign which culminated last week and targeted five companies involved in Israeli human rights abuses against Palestinians. During the week, "there was a specific focus on our university's investments and involvements," she said. Students would "come and learn about the situation and be upset, but when they found out that the university's funds are invested in such human rights violations, they were shocked." Despite the campaign's success in allying with a diverse array of student groups, the divestment bill was not able to pass student government. "There were very few arguments against the bill itself," she told Ma'an, arguing that "it's difficult to argue against a bill that essentially says, 'we should not be giving money to and making money off of violence.'" Instead, Rahimi pointed out that outside Zionist organizations had rallied against the bill, and on-campus opponents utilized "deflective strategies" including the accusation that the "bill is designed to simply alienate the Jewish community." Critics counter that Israeli Apartheid Week itself contributes to an unproductive campus environment for debate and the "demonization" of Israel. 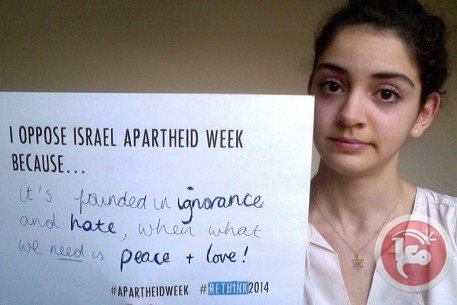 Hannah Brady, the founder and manager of the "Rethink 2014" campaign in opposition to IAW, told Ma'an that the week of events "encourages hatred towards Israelis and those who support Israel on campus." Rethink 2014, however, seeks to "open space for dialogue and discussion as possible," Brady said, adding that Zionist students often feel intimidated by IAW events like the construction of mock separation walls and checkpoints on campuses. "Improving campus climates is what leads to better discussion, by creating an environment in which more people feel able to enter into conversation," she added. Brady argues that IAW does not foster this kind of environment, as the week "exaggerates and emphasizes division and cultivates an 'us and them' attitude," highlighting a student submission to the Rethink 2014 campaign that argued IAW "tries to force Jewish students to choose between their heritage and their humanity." Israeli Apartheid Week organizers, however, are not convinced. Sarah Rahimi, the UCLA student activist, responded to accusations about Israeli Apartheid Week and divestment campaigns creating an "unsafe" environment by highlighting how unsafe campuses already are for pro-Palestinian students. "There is nothing safe about having to prove your humanity daily and being forced to fund violence against your own people," she explained, adding: "There is nothing unsafe about granting someone their basic rights as human beings, unless someone is trying to imply that their rights depend upon the oppression of others." "It speaks volumes about the amount of privilege behind such a comment, when the most threatening or unsafe thing imaginable to someone is a bill that seeks to attack corporations that enable human rights violations," she said, referring specifically to opponents of the divestment bill at UCLA. Despite the divestment bill's failure to pass, Rahimi is optimistic about the future and about IAW's role in mobilizing a global movement in solidarity with Palestinians. "I am incredibly hopeful because I see that the movement is only gaining solidarity and, in its own ways, inspiring other movements for other, similar causes," she said, adding: "Whatever the tipping point was, we passed it this week and from here on onwards, I see us gaining a lot of momentum." The Cairo Court for Urgent Matters has slated March 26 for the first hearing of a lawsuit demanding the banning of Israeli activities in Egypt. Egyptian legal expert Hamed Seddiq filed a lawsuit at the Court of Urgent Matters, which banned Hamas this week, requesting that Egyptian authorities ban all "Israeli activity" in Egypt and declare Israel a "terrorist state." 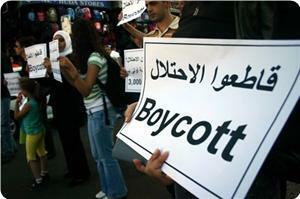 The ban, Seddiq said, would include shutting down Tel Aviv's diplomatic offices in Egypt, including its Cairo embassy. On Tuesday, the same Cairo court that will preside over the case released a verdict banning the activities of Palestinian resistance faction Hamas in Egypt and ordering all of the movement's offices closed. 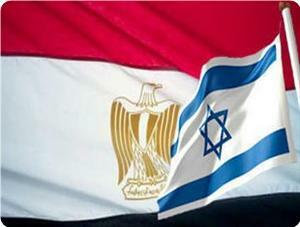 The decision has raised angry reactions in Egypt, and was seen as a support for the Israeli occupation. The Egyptian thinker and writer Fahmi Howeidi strongly condemned the Cairo Court's decision, and said "Egypt has joined the side of Israel by considering the Islamic resistance movement as a terrorist organization." He stressed that Hamas movement has not interfered in the affairs of Egypt neither before nor after the revolution, while Israel has been proven to have "espionage" activities against Egypt. Fahmi pointed out that the Fatah movement is involved in the conspiracy against Hamas. 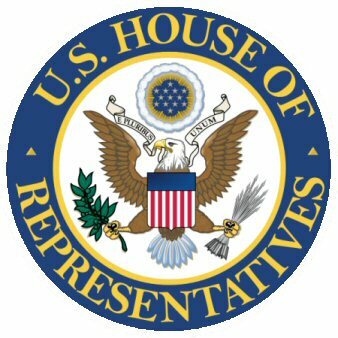 The U.S. House of Representatives approved, on Wednesday, a bill which changes Israel's status into one of a "strategic partner" of the United States. According to a report by Alternative Information Center (AIC), the new status will provide Israel with various security benefits, among them priority in receiving American weapons surpluses. 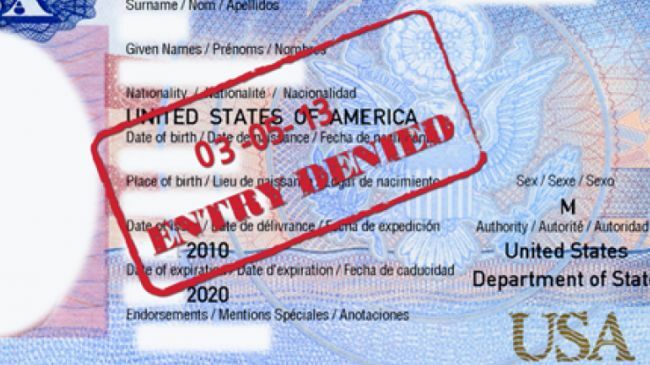 Unlike the bill's original draft, the final version does not include the automatic granting of U.S. tourist visas to Israeli citizens. The bill, which passed the House with a great majority, will now go to the Senate for a final confirmation. 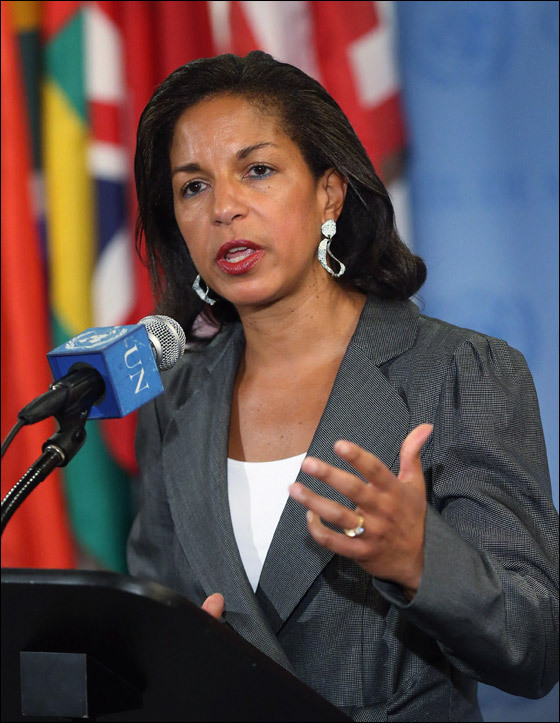 Israeli media said this morning that White House announced that the National Security Advisor of the United States, Susan Rice , will visit Israel during the month of May. According to Hebrew radio U.S. President Barack Obama who asked Rice to head the U.S. delegation team arrive for consultations with senior Israeli officials . White House also said that Obama 's request comes after a meeting held between him and Prime Minister of Israel Benjamin Netanyahu , adding that it will be Rice's first visit to Israel. The United States has refused to issue entrance visas to senior Israeli officers and agents, according to an Israeli newspaper. Israeli newspaper Maariv revealed on Tuesday that senior Israeli security personnel, including Mossad and Shabak officers, have been denied an entrance visa to the US. "A number of officials did not get visas despite planning to discuss a weapons’ deal based on a strategic agreement signed between Washington and Tel-Aviv. The deal is now expected to be cancelled because officials were banned from entering the US," Maariv quoted a senior Israeli official as saying. According to the report, in the past 12 months there have been “hundreds of cases” that employees from the Israeli intelligence agencies have been denied visas to the US. It also said that requests for entrance visas by 25 senior Israeli officials and tens of Mossad and Shabak spay agents have been denied so far. The report noted that senior Israeli officials have been told by US consular officials that they could not step foot on the US soil. "We do not know the reason behind the new American policy, but we are persuaded that the US is putting obstacles before Israeli security officials to undermine their entrance to its soil," the newspaper quoted another senior security official as saying. Hundreds of thousands of ultra-Orthodox Jews took to Jerusalem's streets for a mass prayer vigil Sunday in protest at plans to conscript their young men for Israeli military service. 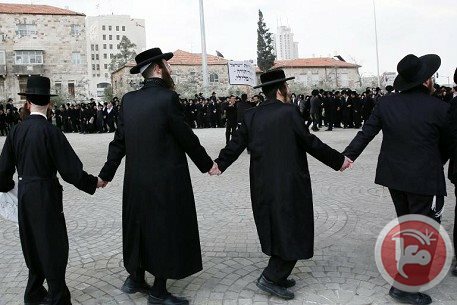 Wearing white shirts under dark suits and donning black hats, a sea of ultra-Orthodox men and boys representing the three major streams -- Lithuanian, Hassidic, and Sephardi -- were united in a rare show of power against impending legislation that could change their legal status in Israel. Bearing signs with slogans such as "war on religion" and "we will not join the military," the masses took part in a prayer led by a cantor through huge loudspeakers set up at Jerusalem's main road in and out of the city. Yaakov Biton, a 28-year-old resident of the ultra-Orthodox city of Bnei Brak, told AFP that he and the rest of his peers from his theological seminary came to Jerusalem "to show that we are not afraid of the criminal sanctions, we are united." "We will win in the end, the Torah will win," said Biton. Police said "hundreds of thousands" were taking part in the demonstration, which saw major disruption of traffic. Police spokesman Micky Rosenfeld said 3,500 police were deployed to maintain order. The protests were sparked by cuts in government funding to Jewish theological seminaries, or yeshivas, and a planned crackdown on young ultra-Orthodox men seeking to avoid Israel's compulsory military draft. The cabinet last year agreed to end a practice under which tens of thousands of ultra-Orthodox were exempted from military service if they were in full-time yeshiva study. New legislation is so far incomplete, but a parliamentary committee has approved a draft bill setting quotas for ultra-Orthodox men joining the military or civilian public service, to be implemented from 2017. The proposed law allows for sanctions against men who evade service, including imprisonment, a clause that enraged the ultra-Orthodox leadership, which said it would amount to Israel sending people to prison for practicing their religion. The move to force ultra-Orthodox men to serve their country is seen by many Israelis as amending the historic injustice of the exemption handed to the ultra-Orthodox in 1948, when Israel was created. At that time they were a small segment of society. Owing to their high birth rate, the ultra-Orthodox community has since swelled to make up roughly 10 percent of the country's population of just over eight million, and continues to be the fastest growing group in Israel. The current exemption from military service is only given to ultra-Orthodox men who commit to remain in their yeshivas, and who are hence not available for work. This creates poverty among the ultra-Orthodox and is seen by Israel's leadership as a growing threat to the national economy. The new policy is primarily aimed at increasing ultra-Orthodox participation in the work force. MP Nissim Zeev, of the opposition ultra-Orthodox Shas party, said the new policy amounted to religious persecution. "The aim (of the protest) is to send an unequivocal message to the government," he told public radio. "Enough is enough, you must stop this persecution." 'Delta' has headed 'the Blue Helmets of Maidan' of 40 men and women - including several IDF veterans - in violent clashes with government forces.